The perfect chocolate chip cookie, the versatile sugar cookie, the best chewy brownie―they’re all here, plus many more old favorites and many others you may not know. 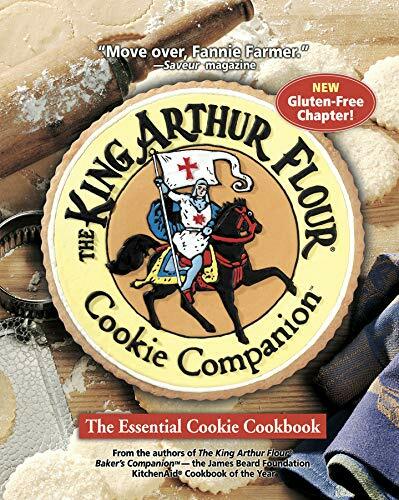 And all created and thoroughly tested by the never-fail team of bakers at King Arthur Flour. 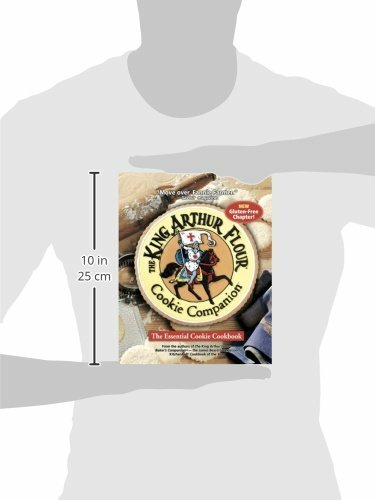 You’ll find a thorough overview of the essential ingredients of cookie baking, along with step-by-step instructions and how-to drawings of techniques that will have you creating great-looking, incredible-tasting cookies in no time. You’ll also learn tips on substitutions and variations; measuring and weighing ingredients; instructions for making icings, fillings, and dips; and even advice on high-altitude baking. Recipes are enhanced with sidebars full of hints, shortcuts, troubleshooting advice, and recipe lore. Also, each recipe is accompanied by a complete nutritional analysis, and such baking terms as “creaming,” “docking,” and “folding” are fully explained. Finally, a comprehensive, illustrated chapter describes the key baking tools you’ll want to have on hand.